Probably all human beings need a bit of culture from time to time. Living abroad and not speaking the language can complicate even such an easy and straightforward thing as going to the theater. Bratislava is not an exception. 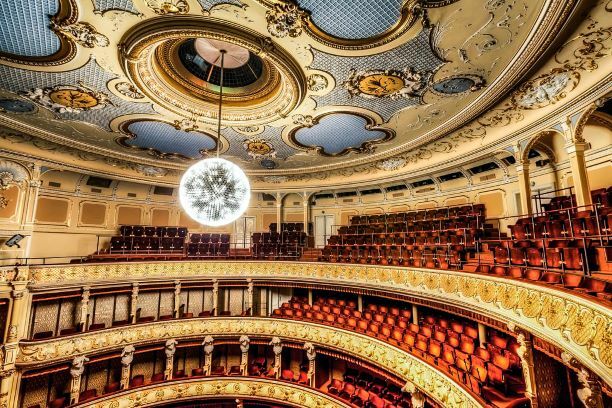 Despite being a highly cultural city with many events going on every day, unfortunately the majority of theater performances are in our native language only. 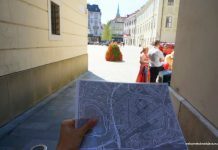 Therefore we have compiled a list of useful tips and places where you can get your piece of culture without speaking the Slovak language. You can enjoy our theater pearl SND’s numerous opera and ballet productions. For the list of performances, check here (select the artistic body “opera” or “ballet” in the upper filter). The one and only English theater playing Slovak classics in English. 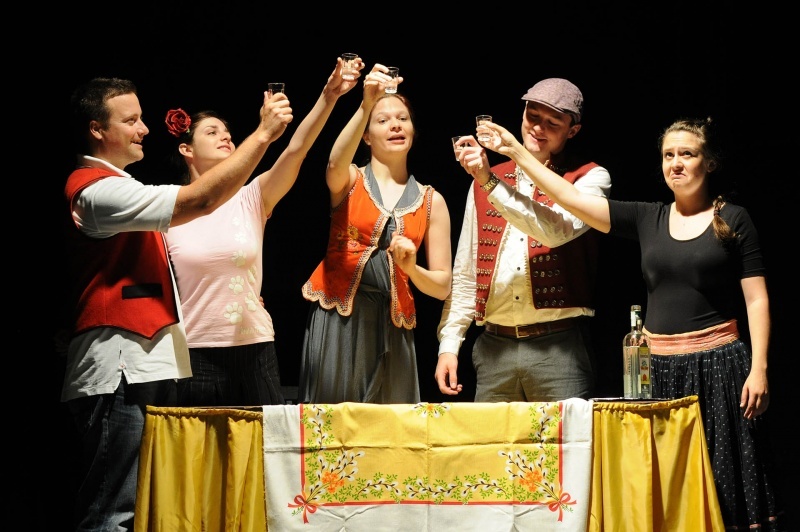 Excellent not only for expats but also tourists eager to get to know Slovak culture, traditions and mentality closer and laugh at comedies performed mostly by English native speakers. 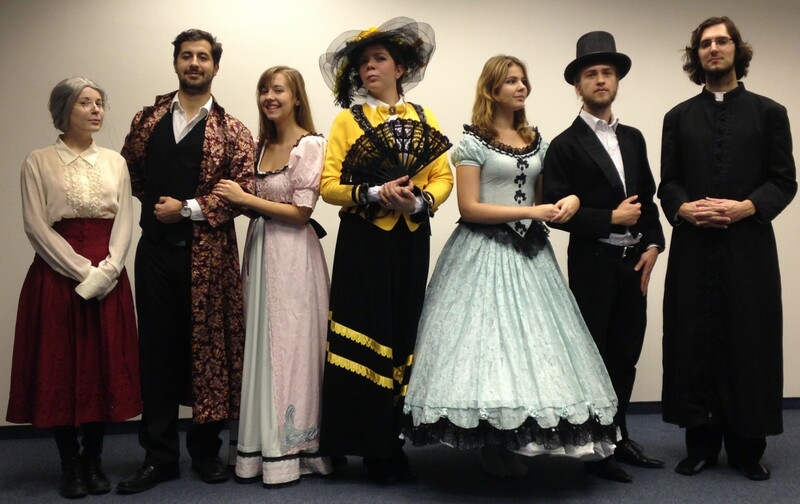 The performances are ideal also for Slovaks who would like to be exposed to English language in everyday life. The theater was established in 2009 as an NGO initiative, created mostly by English teachers who loved both English language and theater. There was a considerable development from scenic readings to regular plays. More info. You can either participate at English speaking improve theater workshops or watch the show. Organizers claim it is not only for those who would like to become actors or comedians but also for people thrilled to build confidence or become a better communicator. Improv skills develop and build important skills such as communication, team work, public speaking, self-confidence, listening, problem solving, empathy and creativity. If you are too shy to try it out, join the shows prepared regularly. More info. 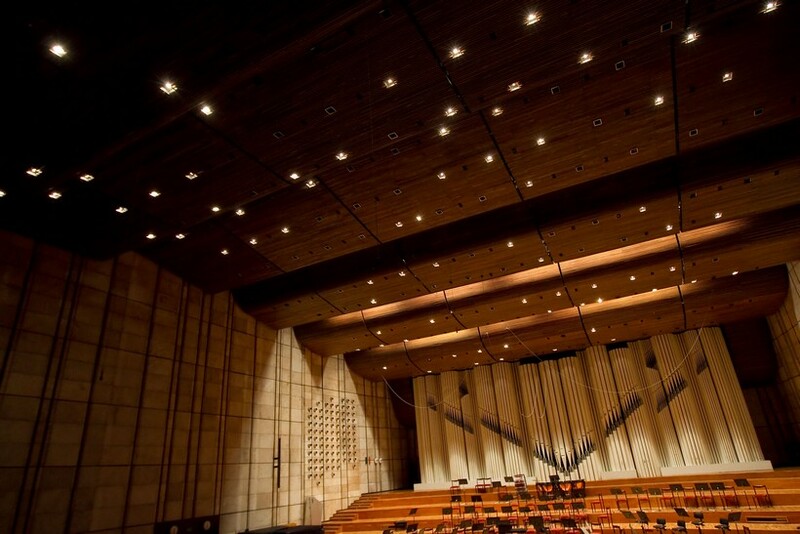 The famous upside-down pyramid hosting Slovak Broadcasting has three halls where it organizes concerts of symphony orchestra, classical music, popular and alternative music. 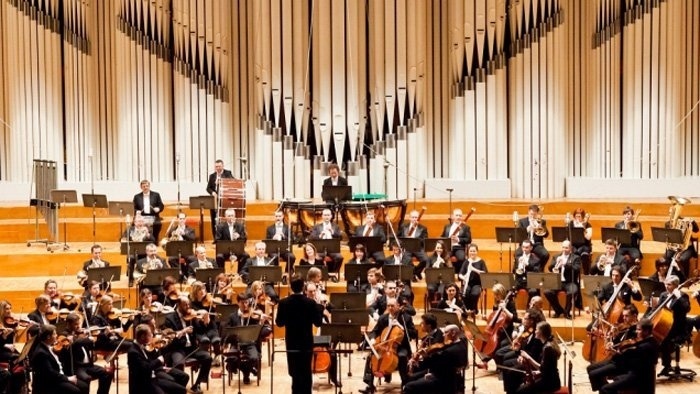 You can enjoy the music with no Slovak language involved in the Big Concert Studio, Intimate Concert Studio and Studio number 5. More info. 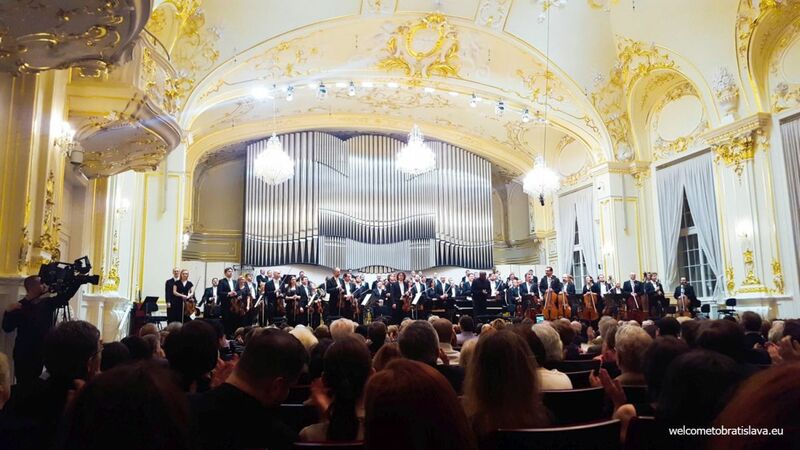 The Slovak Philharmonic has a tradition since 1949. The building of old Reduta hosts it. 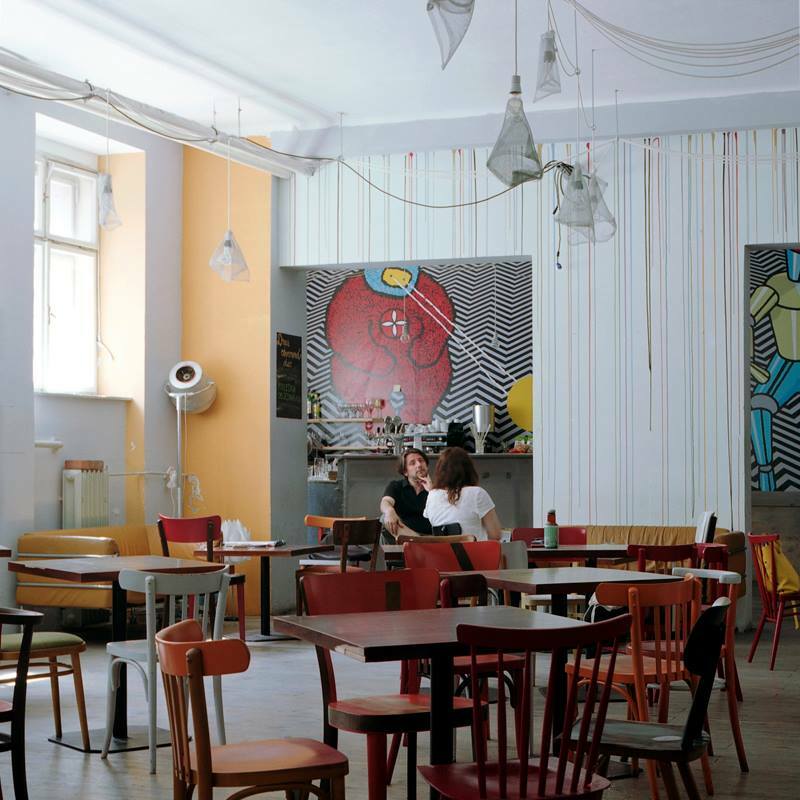 Reduta is one of the most important historical, cultural and representative buildings of old Bratislava. It was a former granery built on demand of Maria Theresa in 1773. Later, it was reconstructed in neo-baroque style with rococo and art nouveau elements in 1913-1919. 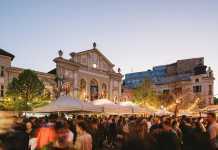 If you like the combination of a historical building and classical music, you are at the right place. More info. Slovak National Gallery offers great exhibitions levelling with western standards for which we are very proud of! Majority has descriptions in English language too. Good time to visit it is on Thursdays, when the Gallery is open until 20.00. 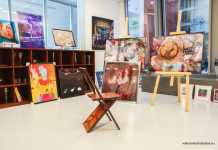 SNG offers also different educational and cultural programs and workshops bringing art closer to an average visitor. Permanent collections are currently closed due to reconstruction but there is plenty to see at the temporary exhibitions. More info. 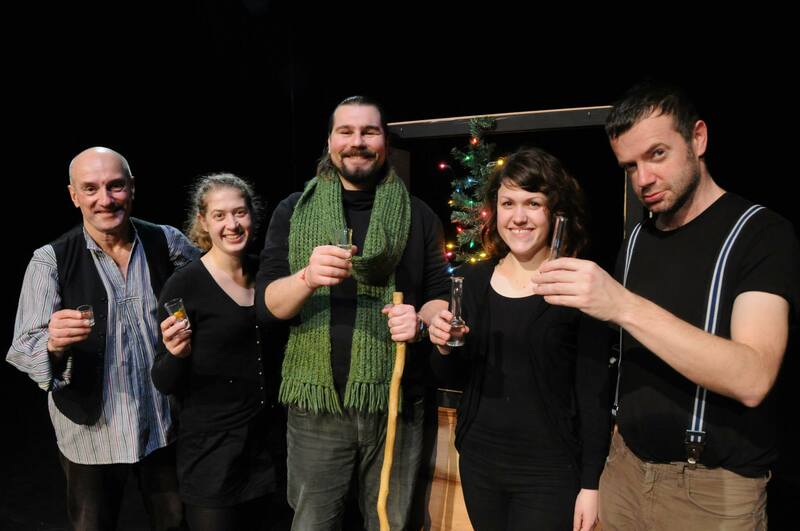 ActofKAA is a student theatre troupe at the Department of British and American Studies at the Faculty of Arts of Comenius University in Bratislava, Slovakia, which was founded in September 2011. They usually prepare two theatre productions and give two public performances a year. Their aim is to reach the English-speaking community in Slovakia and bring together not only the current students and faculty of the department, but also alumni, professional translators, interpreters and teachers of English, English-speaking students from non-language study programs, foreigners studying or working in Slovakia – in short, English language enthusiasts. Official website. Kino inak (roughly translated as the Other Cinema) is part of A4 – Space for Contemporary Culture, a multi-genre venue dedicated to contemporary art. 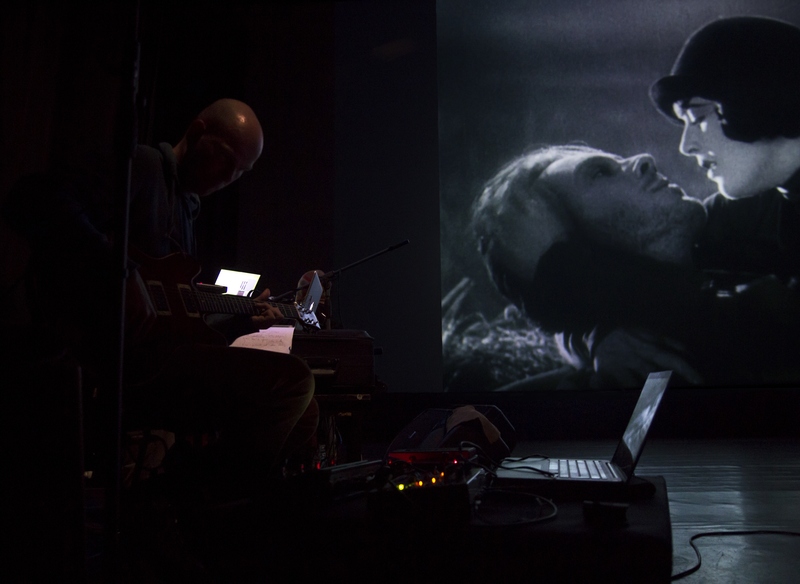 It is the only place in Bratislava that regularly presents cutting edge and experimental films or films on art. The cinema screens more or less twice a week. Most of the films are English friendly – in original language with English subtitles. In the venue, located near the Main Railway Station, there is also a bar and you can take your drink to the screening room or have one after the film. The English website is currently in construction, but you can find some info on their Facebook. Do you know about other places? Share your tips with us!